Basta Fitzroy has a great selection of menus for large groups and several spaces to cater for any size group. Perfect for Hens Parties, Business dinners, Conferences, Birthdays, End of Year or Xmas Functions. Basta Fitzroy has a variety of function options available for large parties or groups requiring privacy and space. 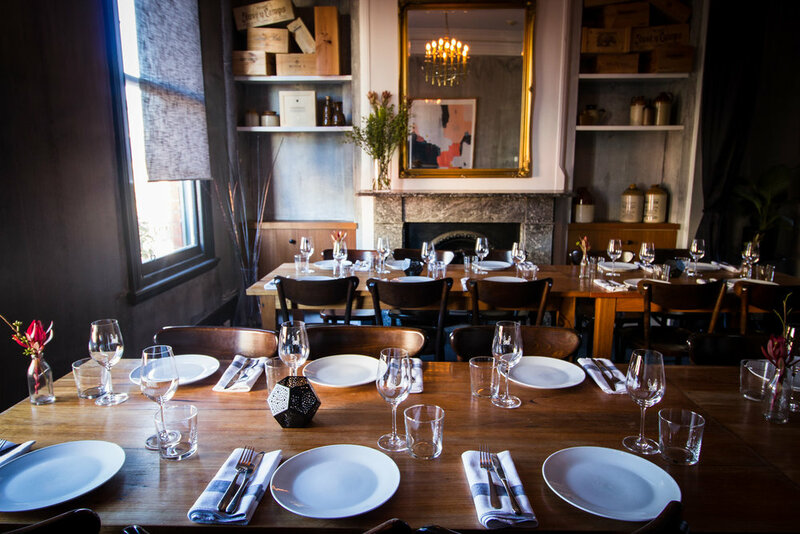 Whether it’s for a simple get together, a special occasion or an important corporate event let the team at Basta Fitzroy take the stress out of the planning. We offer dining options for breakfast, lunch and dinner Tuesday to Saturday. There are a range of menu options available from light canapés to sit-down shared feasts that can be tailored to your specific needs. We offer sit down dining for up to 40 guests and stand-up canapés for up to 70 guests. Our newly renovated upstairs dining is a great space for a seated dining of up to forty people. It is also a great place for standing functions of up to 70. The adjoining bar and balcony are also included when hiring this space exclusively. A smaller more intimate space that can comfortably seat 25 people. The room has a fireplace and lovely greenery. Have a big group to cater for? For parties over a certain size we recommend hiring out the entire venue. For enquires and options give us a call so we can discuss the options.